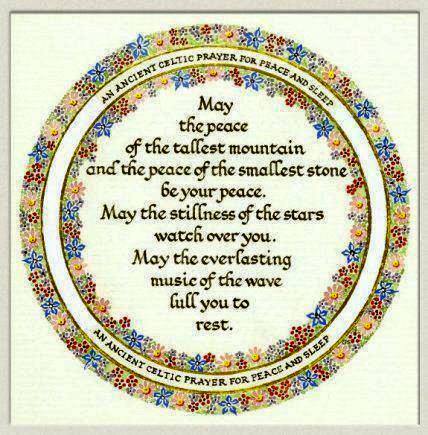 This is a form of prayer used by early Celtic Christians. It is called the Caim, the encircling prayer. Circle me, O God, encircle me with your presence. Circle, O God, those who work for peace and Justice in your world, encircle them with your presence. Circle, O God, those who are victims of violence and injustice, encircle them with your presence. Circle, O God, those who have committed acts of violence and justice, encircle them with your presence. In the name of the Sacred Three, the Father, Son, and Holy Spirit, Amen. Circle, O God, (name the person(s) for whom you are praying), encircle them with your presence. In the name of the Sacred Three, the Father Son, and Holy Spirit, Amen. And by your wounds, may we find healing. Amen.